A slideshow has become the standard component of the majority of presentations around the world. Whether you’re in a business meeting or in a classroom, you probably have seen a slideshow presentation or you have made one or two yourself. 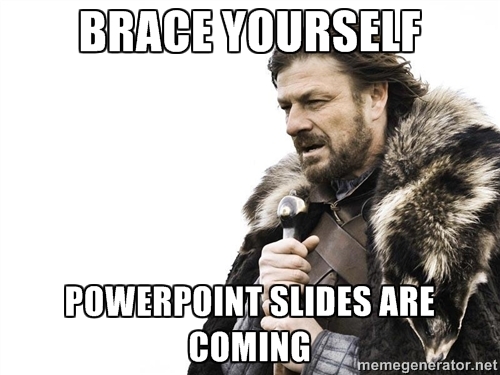 When making those presentations you have probably used Microsoft’s PowerPoint. The popular slideshow presenter can be downloaded for free with Microsoft’s 365 trial offer for Windows or Macs. I will go over the necessary steps to access and download PowerPoint free trial. You will find out that you can no longer download old versions of the application online. PowerPoint can NOT be downloaded as a single application. You will also learn a method to avoid adding/using your credit card when signing up for the trial promotion. Microsoft PowerPoint is considered one of the most well-known programs that creates slideshow presentations. PowerPoint creates slides with written content, images, videos and graphics. The application is a visual aid tool that can be used to exhibit information in a visually pleasing way. The definition above is a technical way of defining the software but most of us know it as the tool we use during class and work presentations. PowerPoint is an application from a suite of apps from what is now called Microsoft 365. You’re more likely going to remember the bundled applications called Microsoft Office which included Word, Excel, Outlook and of course, PowerPoint. The well-known slide presentation program was created in the early 90’s by Dennis Austin and Thomas Rudkin. Initially, PowerPoint was first called “Presenter” and was originally designed for Macintosh computers. The name was later changed due to copyright issues and the software was bought out by Microsoft for $14 million dollars in 1987. A few years later, the presentation software was launched to the public at the same time Windows 3.0 was released. Fast forward to 2015 and PowerPoint is still the top searched presenter program online. On top of that, according to Wikipedia the program is also installed on over a billion computers worldwide. That’s a lot of slides. 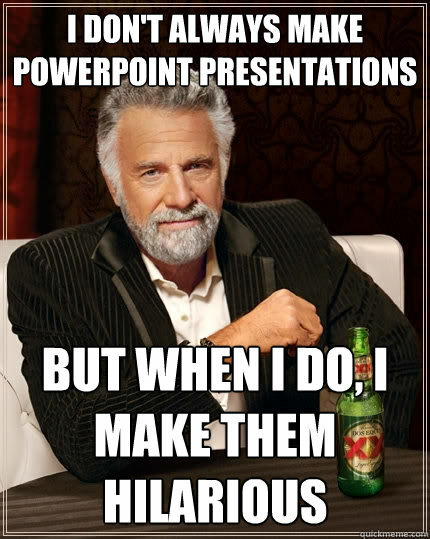 Users rely on PowerPoint to create a professional presentation. The easy-to-use tools and functions can be used to create visually appealing slides. Each slide can have different attachments of graphics, animations, and multimedia. There are multiple ways you can present your slides to a group of people. Traditionally, a PowerPoint presentation is shown on a video projector but now, it is common to be seen during webinars. Besides the visual aid add-ons you can start off your presentation with unique templates making the slides stand out. There is no need to make a boring presentation for business meetings or class assignments. There a plenty of free templates you can download directly from Microsoft or from dedicated PowerPoint enthusiast websites like this one. The PowerPoint application doesn’t come on its own but is part of the Office 365 suite. This suite from Microsoft comes at different price points based on various plans. You can no longer purchase the Office software without paying a yearly or monthly fee, unlike previous versions (2010, 2011, 2012). However, if you want to buy old versions of PowerPoint you can browse on Amazon or eBay. Many sellers list official product keys that can be purchased and redeemed online to download older versions of the suite. There are different versions of MS Office catered towards personal use, school or business. Office 365 is also available on Macs, iPhones and iPads. This is also true for Android devices as well. So not only are they offered for all realms of work/school life but they also have mobile apps which sync up with other devices like your desktop. The breakdown of each plan and key features can be reviewed in more detail at the Microsoft Store. Or, if you want to review Office for Mac you can find more information here: http://www.microsoft.com/mac/buy. The free PowerPoint trial offer is for a 30 day period. Once the trial ends you will be charged a fee based the plan you chose. If you are unsatisfied with the PowerPoint or anything you can cancel your subscription at any time. Make sure to cancel your subscription before the 30 day trial ends if you don’t want to be charged the monthly fee. PowerPoint is available online to download for free with their trial offer. To download the program you must sign up for Office 365 Home or Business trial. The offer will last for one month in which you will not only have full access to PowerPoint but also the full set of applications that come with it, such as: Microsoft Office, Skype and online versions of the suite. The steps are the same regardless if you want to download PowerPoint for Windows or for Macs. Just make sure to select which operating system you want the free trial on. Here are the necessary steps to take to download the program for free. Requirements: Microsoft account (email) and a Credit Card or PayPal account. Head over to the official Office 365 website. The page has a large amount of information on their applications. You can read in more detail about their services, applications and help section but if you want to jump into the trial offer then click on either the “Home” or “Business” button. In this case I will go through the process of downloading and installing the Home version. Once you have clicked on Home you will land on the “Choose your office” page. Here you will see a breakdown of the different plans that are offered. You will have to select Home, Personal or Online. Both Home and Personal plans come with a monthly cost and a free trial offer. Select either the “Home” or “Personal” plan by clicking the button that reads “try it free”. From this point you will be directed to the sign in page for your Microsoft account. Go ahead and login with your existing account or create one. This is a mandatory step and cannot be skipped. Once you have logged in you will have to enter in your billing information. To continue with the process of downloading PowerPoint free trial you will have to enter in your credit card information. If you don’t have a credit card on hand you can also use PayPal to continue with the billing process. It’s also important to remember that your credit card or PayPal account will NOT be charged during the 30 day trial period. Now that you have added your billing information you can continue to the installation page. Here you will download Microsoft Office 365. Installing the software is straightforward and not much of a guidance is needed. After you have downloaded and installed Office 365 you will have access to all the applications in the suite, including PowerPoint. You can now use the latest PowerPoint (2015) for a full month. If you are satisfied with the suite I would highly recommend that you continue the subscription. If you have read the guide above and thought it was too much of a tedious task to complete then you should know that there are other alternatives that are just as good. One of them is Google Docs. With Google Docs you can create the same documents such as spreadsheets, presentations, and written documents, all for free. With Google Docs you won’t need to download any software or application because the applications are web-based. Simply log into your Google account and start creating. You can also access, edit and share your documents anywhere from both Macs and Windows. Did I mention that you can also collaborate on documents in real-time? This is certainly a neat feature but the cherry on top is that they give out perks, like extra storage space when you purchase a Google product. The drawback is that the Presenter does not have the premium features that PowerPoint does and lacks in creative tools. If you are looking for something that outshines PowerPoint then I would suggest you look into Prezi. More than 50 million people use it including 50% of big-brand companies. They claim it to be “the successor to the throne” when compared to PowerPoint. I haven’t done a thorough review on them but it’s worth to mention. Want to just view a PowerPoint presentation? If you are looking for a way to just view a PTT file then you won’t need to download a full version of PowerPoint. Your best option is to download a program called PowerPoint Viewer from Microsoft. This free program allows you to view PTT files, however, it is limited to just viewing. You will not be able to edit or make any changes to the presentation. If you have any trouble downloading PowerPoint on your Windows or Mac computer or if you have any inquires regarding the free trial please leave a comment below and I’ll try to help. This entry was posted in PowerPoint use, presentation tips and tagged PowerPoint, presentation on March 30, 2015 by pptstar.